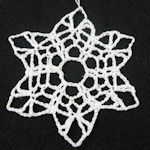 Lacy Ball Ornament -- $1.99 A Crochet pattern from Julie A Bolduc. 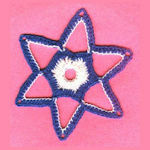 I know it is not Christmas any more but why not make this now and get started early on next years holiday season! 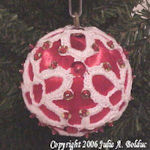 This ball ornament is fairly simple to make and is all one piece. You can complete it in an evening! Actually you could make 2 or 3 in an evening!